Bone broth is the new kale! It’s everywhere at the moment. Here at the Basecamp we love it. Long used for its holistic, therapeutic and gut healing properties, bone broth is now being rediscovered and lauded as a medicinal food. Add all the things you love (2 – 4 cups) – celery, carrots (sweetens the broth), onion, bay leaves, leeks, parsley, beetroot tops, thyme, a good handful of Celtic Sea Salt and cracked pepper. Chicken broth loves coriander root and seed. Cook chicken broth for 8 hours and beef/lamb/pork for 12 hours, (lid on). This amount of time extracts all the nutrients from the bones and gives a lovely gelatinous consistency; recent advice from nutritionalists state that longer diminishes the nutrient value. 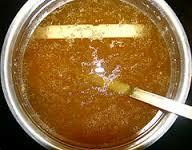 In a slow cooker make sure you bring the stock to a boil first then cook a little longer. Use your broth in everything, from you morning smoothie, soups, stock or as a warming drink.